The Jesus Storybook Bible: Why This One? There are many, many children's Bibles on the market today. So, why do we read from "The Jesus Storybook Bible" by Sally Lloyd-Jones to our boys every night? And, why would I give it away to you? Before they left the garden, God whispered a promise to Adam and Eve: "It will not always be so! I will come to rescue you! And when I do, I'm going to do battle against the snake. I'll get rid of the sin and the dark and the sadness you let in here. I'm coming back for you!" What I truly love about this book is that it teaches my children that Jesus didn't just rescue the characters in the Bible. Jesus is the hero of their story. They are learning that Jesus is their Rescuer. Jesus is the One who loves them so much that even though they turn away from Him when they disobey, He loves them with a "Never Stopping, Never Giving Up, Unbreaking, Always and Forever Love." The Bible, from the very first word, all the way to the end, is their story. They are part of God's greater redemption plan that started before there were fish and stars and trees and continues on today. Do you know who else needed to be reminded of this? I often see the Bible as a guide on how I should live - a list of dos and don'ts that I use to figure out how I'm measuring up -or not measuring up - as a woman, mother, and wife. As I read through this book several months ago, I wept. I realized anew that all of my shortcomings, failures, and "not measuring ups" are why I need Jesus. He came to rescue me. And, He came to rescue you. I could write more. 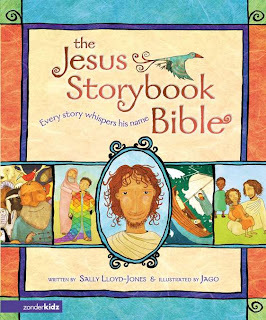 But, I will let Sally Lloyd-Jones, the author of "The Jesus Storybook Bible", share her thoughts behind why she wrote this precious book - and how others, children and adults, have responded to and been changed by this book. I had the privilege of recently interviewing her. Her heart for God is most remarkable. I'll post my interview with her here tomorrow, along with some thoughts from Jago, the illustrator of "The Jesus Storybook Bible." If you haven't entered to win one of ten copies of "The Jesus Storybook Bible", you can do so here. If you don't have children, I encourage you to enter to win a copy for yourself. It truly is a book that everyone should read. "It truly is a book that everyone should read." I've seen the book in bookstores, but I've never had a chance to read it. Would love to read it to my son. btw, the illustrations are simply lovely. can't wait for the interview - how fun. i don't know if i mentioned this, but this book my number 1 choice for baby gifts. i recently ordered a new batch because i give them away so frequently. I share many of your same feelings - I was just telling a friend last week how much I love this Bible and how, in every story, it all comes back to Jesus - because, even in our lives - it comes back to Jesus! 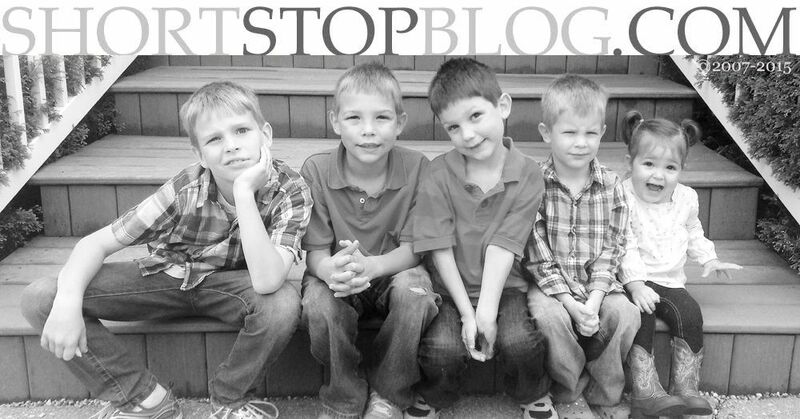 Thanks so much for alerting me to your blog...and to this giveaway! I'm definitely going to enter to win because I'd love to win one to giveaway! Thank you so much for introducing this book to us a couple months ago. I absolutely agree with everything you said and have been recommending it to everyone I know because it is such an amazing book. I'm so glad you're doing this series on it! I'm getting more and more interested in this book. I can't wait to see the interview! It is beautiful! We love this children's Bible. I absolutely love the illustrations and the unique layout of the book. Sounds really great, just what we need around here! I saw that you entered a giveaway to win a Starbucks Gift Card and thought you would like my Giveaway! Im giving away 1 lb of Gourmet Coffee or Tea from my new online coffee shop: Get The Bean. We will be doing giveaways weekly so be sure to stop by often. Thanks for sharing your thoughts. I love this bible not only for the kids but for me. I love how she talks about the rescue plan and the rescuer. I love that picture of Jesus in my mind. I tell everyone about this bible. I know our early childhood pastor just purchased one for our nursery. It does an amazing job of telling the stories.